From Tel Aviv and Jerusalem to Umm al-Fahm, Israelis and Palestinians take to the streets to protest the killing of 60 demonstrators in Gaza a day earlier. Thousands of Palestinians and Israelis across the country protested Tuesday against the Israeli army killing of 60 demonstrators in Gaza the day before. Some of the protests were also in commemoration of Nakba Day. 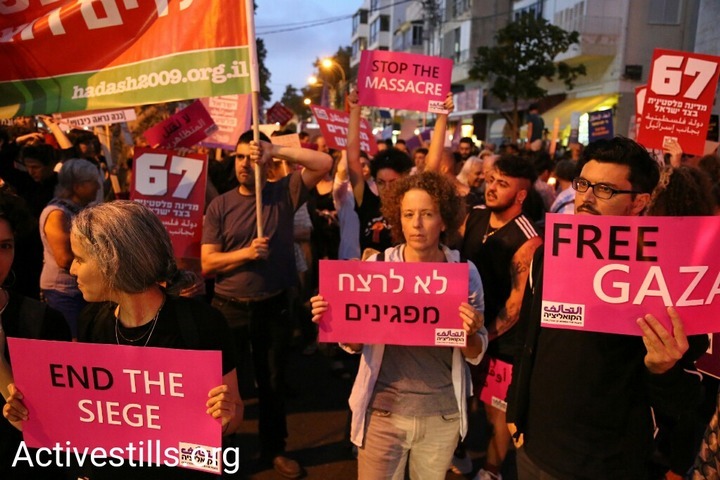 In Tel Aviv, 300 Israelis and Palestinians demonstrated outside the Likud Party headquarters in the city, holding signs and chanting slogans against the violence. At one point the demonstrators shut down King George Street, marching down and shutting down one of the city’s busiest thoroughfares. 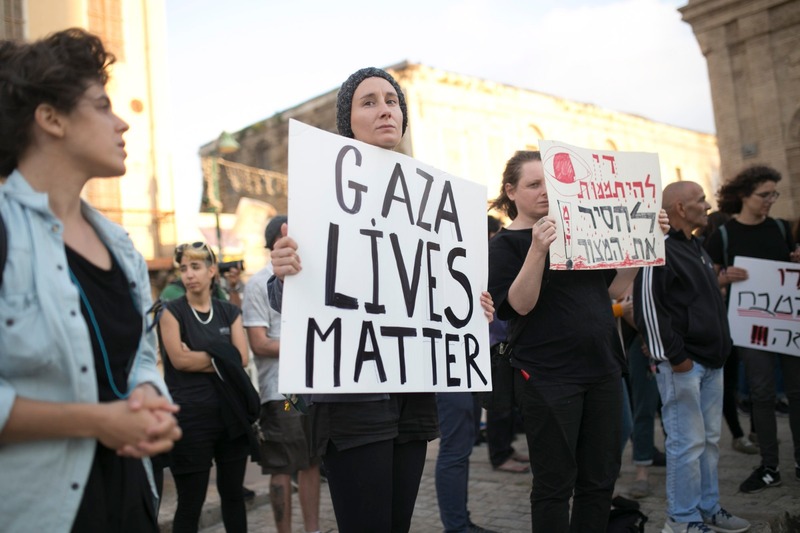 “The 60 people who were killed come from a place of immense pain — pain that has no hope, no water, no work, no future, nothing,” said Yeela Raanan, an activist with Other Voice, a movement of Israelis from communities near Gaza and Palestinians from inside Gaza. “As long as our neighbors suffer, so too will we suffer,” Raanan continued, adding that the Israeli government could end the siege if it wanted to. In Jerusalem, hundreds of Israelis held a quiet demonstration outside the Prime Minister’s Residence and then marched to the newly-opened U.S. embassy. There, too, the protesters blocked the road. Earlier Tuesday, dozens of Palestinians demonstrated outside Jerusalem’s Old City to mark Nakba Day, which commemorates the expulsion of 700,000 Palestinians from their homes and villages during the 1948 war and the creation of the Palestinian refugee problem. In Umm al-Fahm, hundreds of Palestinian citizens of Israel marched alongside Arab members of Knesset. “We must posit a moral alternative to the government, so that we have some kind of future here. For all citizens, for both peoples,” Odeh added. At Ben-Gurion University in Be’er Sheva, over 100 people, mostly Arab students but also including 20-or-so Jews, held a spontaneous demonstration. Several Arab students waving Palestinian flags were arrested. At the entrance to Tel Aviv University, dozens students held a vigil to commemorate Nakba Day and to protest the killings in Gaza. 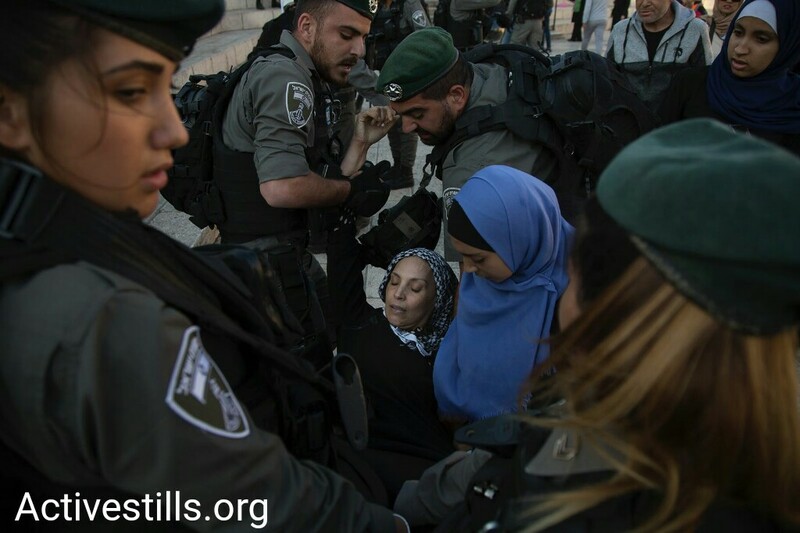 Demonstrations also took place outside Jerusalem’s Old City, as well as in Jaffa, Haifa, Majd al-Krum, and Rahat.